Well isn't this is just about the most perfect little desk lamp around. 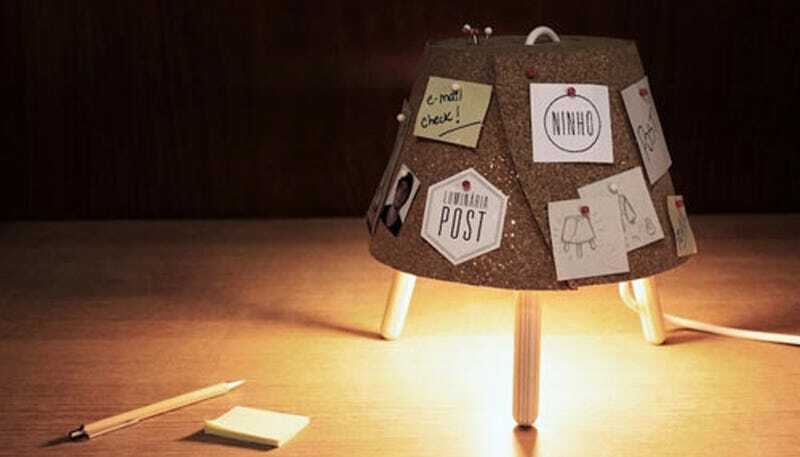 Called the Luminaire Post, it's two things rolled into one: a light source and a bulletin board. So each time you flip it on, you get a glimpse of the items on your to-do list.